A great way to enjoy the rugged beauty of the Smoky Mountains is on horseback. Several stables offer guided horse rides in the Great Smoky Mountains National Park and Nantahala National Forest. Horseback treks are generally one to four hours, but may also be overnight camping trips. Are you a horse owner? Camping in paradise does exist. Close access to five trailheads and 400 miles of trails. 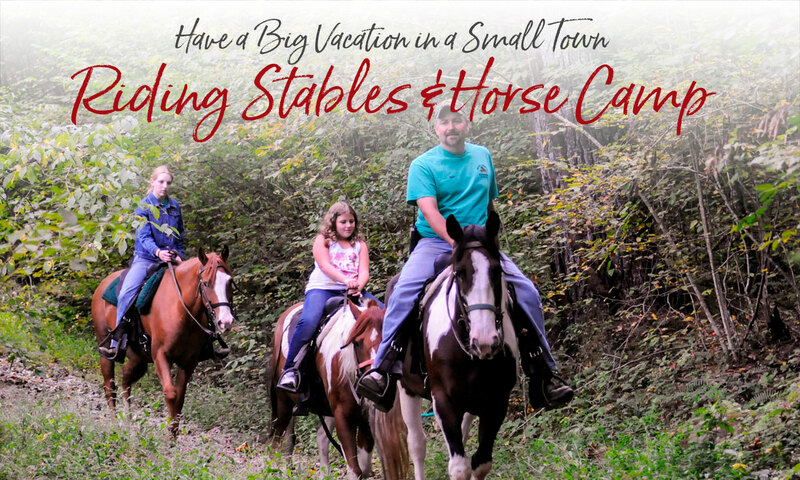 If you like riding in the North Carolina side of the Great Smoky Mountains National Park, you can do it from our Bryson City horse camp. Bring your horses and explore the many miles of the most scenic trails you'll ever ride! Guided trips in the Nantahala National Forest overlooking Fontana Lake & the Great Smoky Mountains National Park. Reservations preferred. Open weekends April-May and September-October. Memorial Day-Labor Day full time. Do you want to book adventures like Horseback Riding plus multiple other Adventures while you’re here for vacation? Save time making reservations and do it all at one website! Our adventure planning and reservation concierge service consolidates your vacation research and planning in one place. Visit our website, choose your desired adventures like Horseback Riding and we’ll make the reservations plus set up your itinerary! Enjoy scenic guided horseback riding within the Great Smoky Mountains National Park. Rides available for the beginner or experienced rider featuring wooded forests, wildflowers, river and waterfalls. An authorized concessioner of the National Park Service. If you like traveling with your own horses, the Great Smokies National Park and the Nantahala National Forest offer excellent horseback riding trails. About 550 miles of the 800 miles of National Park trails are open to horses. Download a trail map, which also has regulations for horse use of the Park. GSMNP – 865-436-1231. The Tsali Trails in the Nantahala National Forest near Bryson City are multi-use trails. Call ahead to the Nantahala National Forest District office to verify the current schedule for horseback riding – 828-524-6441.